Well that’s not a shirt now is it? Did you know all my designs can also be purchased on fashionable home and lifestyle accessories? It’s true, just look at that handsome pillow you could accent your couch with. Impress your friends when they see this stylish conversation piece. 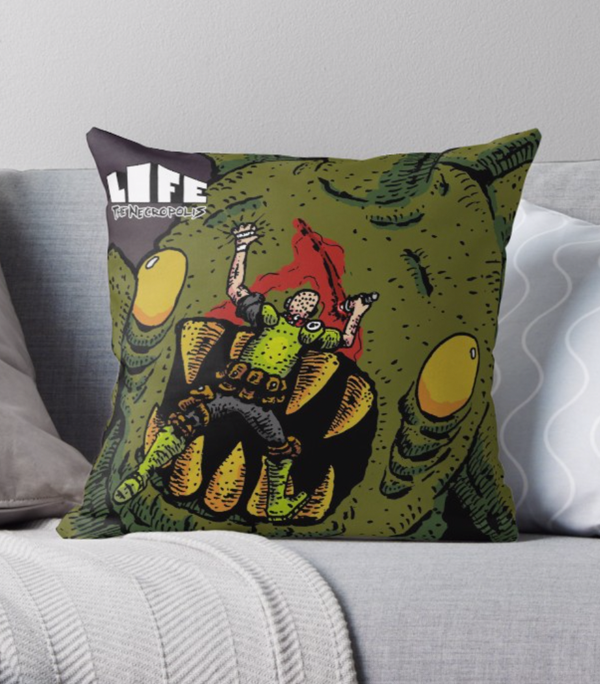 You can buy this rad new pillow and others HERE at my online store! I think at this point, this picture sums up this comic more than anything else. I love this panel. There’s something really funny to me about making a shirt of 6 random characters, most of which were never seen again beyond this panel. They’re just standing there, doing nothing, and they get a shirt for it. Just friggin’ slays me.